Details at the end of this post on how to enter to win either a print or kindle copy of Homecoming by the Sea, and a link to purchase it from Amazon. 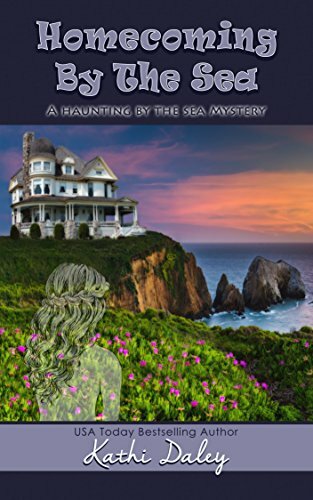 Kathi Daley has reimagined her popular seven-book Seacliff High Mystery series into A Haunting by the Sea releasing the premier book Homecoming by the Sea. In The Secret (February 2015) tragic circumstances had forced fifteen-year-old Amanda Parker and her mother to enter the federal Witness Protection Program and relocate to Cutter’s Cove, Oregon. Living under the name Alyson Prescott and attending the local high school, she discovers a shocking ability to see “ghosts.” For two years she lived incognito, and with the help from BFFs, local residents, and law enforcement, she actively helped several restless ghosts find peace and move on. In The Haunting (September 2017), life as Alyson took a surprising turn, and she was able to lay to rest her manufactured persona by exiting the WPP. Amanda returned to New York, attended college, and got her life back to normal…sans the appearance of any ghosts, of course. However, ten years later new circumstances make it imperative that Amanda return to Cutter’s Cove…welcome home? Homecoming by the Sea earns 5/5 Reunions, Mysteries, and Murder! For the past ten years Amanda Parker, previously living under the name Alyson Prescott and the supervision of the federal witness protection program, has been living in New York and enjoying her career and boyfriend’s attentions. 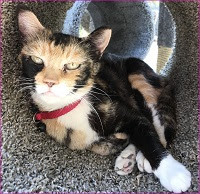 However recently, feelings, voices, and the unsolved murder of her elderly friend, Rory Oswald aka Booker, have precipitated her return to Cutter’s Cove. During her absence her peculiar ability to “see” ghosts had seemed inactive, so college, a full-time career, and romantic relationships were all part of her “normal” life…but by returning to Cutter’s Cove, she essentially picks up where she left off with ghosts, danger, and…murder! Although having been empty for the past decade, filled with dust and peeling paint, Amanda arrives in Cutter’s Cove deciding to stay in the home she and her mother renovated while insinuating herself into the investigation of the unsolved murder of a friend.… Who's there? A noise, a vision in her periphery, a…Alyson? Shockingly she discovers that when she left Cutter’s Cove the piece in her that was Alyson was left behind. Amanda can see, hear, and in someways feel her high-school aged self, and trying to send her away or join together these pieces of herself make for an interesting dilemma. So with Alyson in tow, she reunites with the “Scooby gang,” to uncover century-old secrets that may have led to her friend’s murder. Wow! Kathi Daley’s signature writing style, clever whodunit, and engaging dialogue are on full display here. The setting is ten years later from the end of the Seacliff High Mystery series, and although I highly recommend reading those seven books, it is easy for a newbie to join in. It really is the beginning of a new series, but background and character connections are revisited for those who are unfamiliar of the other series. Kathi’s characters were already well-developed through the previous series, and although Alyson was always mature for her teen years, she has a delightful adult perspective in this new version. Along with the reunion with her high school friends Mac and Trevor, who themselves have gained some adult instincts, we find out a bit how life has been for them without their friend Alyson/Amanda…a nice catch up. But for the “Oh, Wow!” twist, making it stand out that this is different, but still familiar, Amanda finds the ghost-like apparition of the image of her alias Alyson, the teenage version, and the ghosts…yes, the ghosts return! The paranormal aspect and existential dilemma is not juvenile hocus-pocus; it is very entertaining, doesn't overwhelm the characters and the mystery, and it just plain fits! It is a perfect book club discussion topic: What would you do if you met your high-school self? I highly recommend this book, and with book two, Secrets by the Sea set to launch in June, I suggest you hurry on board. But don't overlook the prequel series, Seacliff High! To enter to win either a print or kindle copy of Homecoming by the Sea, simply email KRL at krlcontests@gmail[dot]com by replacing the [dot] with a period, and with the subject line "homecoming,” or comment on this article. A winner will be chosen May 19, 2018. U.S. residents only for the print copy. If entering via email please include your mailing address, and if via comment please include your email address. PLEASE STATE IN ENTRY WHETHER YOU WANT PRINT OR KINDLE. Thanks for the review. I would take print or e-book. Love Kathi Daley's books. Would really like to read a print copyif "Homecoming by the Sea". Love Kathi’s books! This one looks good too! Thanks for the chance at the giveaway!